In recent years, electric vehicles have come to be recognised as the future of innovative and environmentally sustainable transportation, steadily gaining popularity amongst the general public. But what about more specialised, practical applications? What if Australia’s most popular light vehicle for mining, the 70 Series Toyota LandCruiser, could be adapted to eliminate harmful emissions and still offer trademark strength and reliability? Introducing, the Voltra e-Cruiser. A paradigm shift in underground mining vehicles. 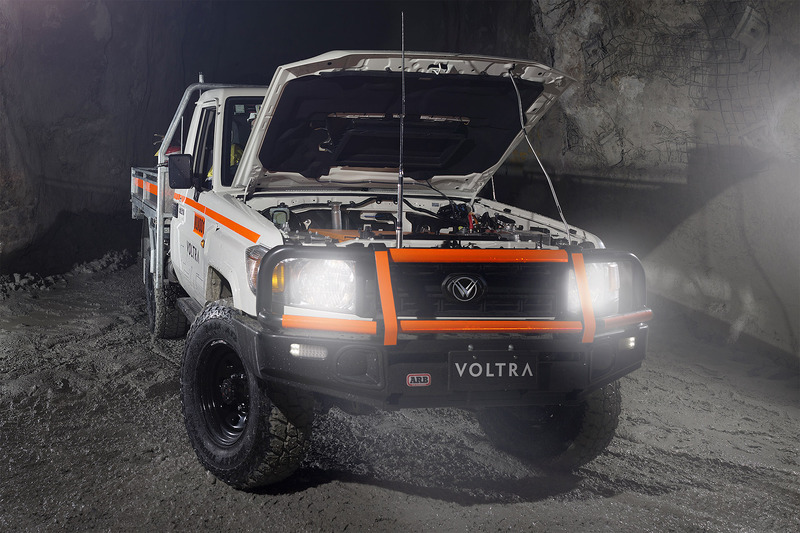 This 100% electric drive, battery-powered vehicle was developed as the perfect addition to an underground mining fleet, purpose built for harsh, corrosive environments and meeting all aspects of the Australian design rules. Most importantly, the eCruiser reduces a mine’s carbon footprint, maintenance costs, and the threat to workers posed by underground exhaust emissions. 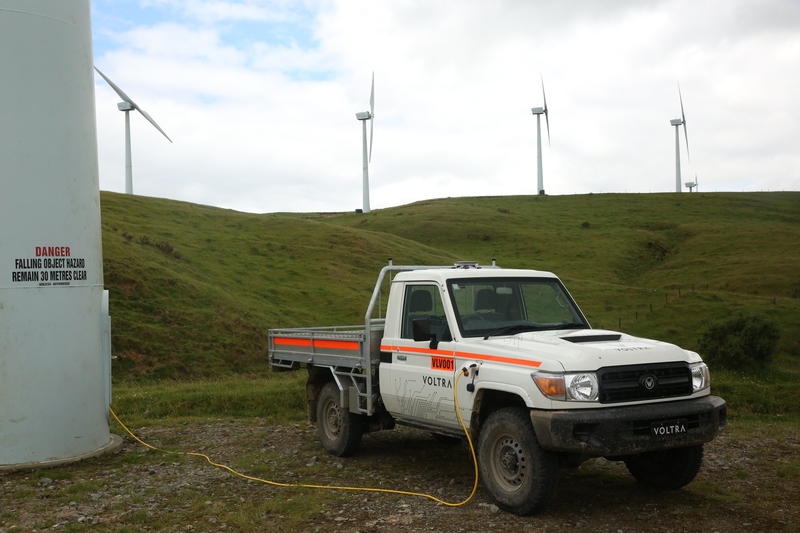 This prototype was taken to Te Rere Hau wind farm in New Zealand to further advance our understanding of clean, green energy and to trial the vehicle on arduous 4-wheel-drive terrain, similar to what it might face in a mining application. The use of diesel-powered plant in underground mining has steadily increased since the 1960s. Today, diesel machinery has replaced physical labour and pneumatically driven machines in almost all underground operations. As a result of the combustion process, diesel engines emit particulate matter, exhaust gases and fumes, organic vapours, and some metallic compounds. The electric motor driving the eCruiser is relatively simple, especially when compared to the complexity of a diesel engine, which requires costly maintenance. The electric motor also acts as a regenerative brake, significantly reducing wear on service brakes and helping top up the charge in the batteries. 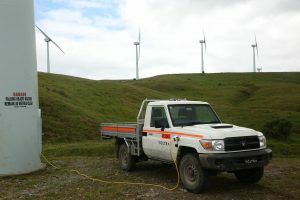 Additionally, because electric motors do not generate the heat associated with internal combustion engines, the thermal signature of the vehicle and subsequent heat build-up in the mine is minimal, as well as reducing the security required when handling, transporting and storing flammable fuels on site. A mining fleet reliant on an eco-friendly, renewable energy source may reduce total energy costs by 10-20% compared with the cost of diesel fuel, while at the same time improving the mine’s energy security and reducing its carbon footprint. The eCruiser eliminates hazardous emissions and costly maintenance, while still offering the necessary range, durability and efficient charging that make it a reliable mining light vehicle. Voltra. Powering the future of sustainable, emission-free underground mining.